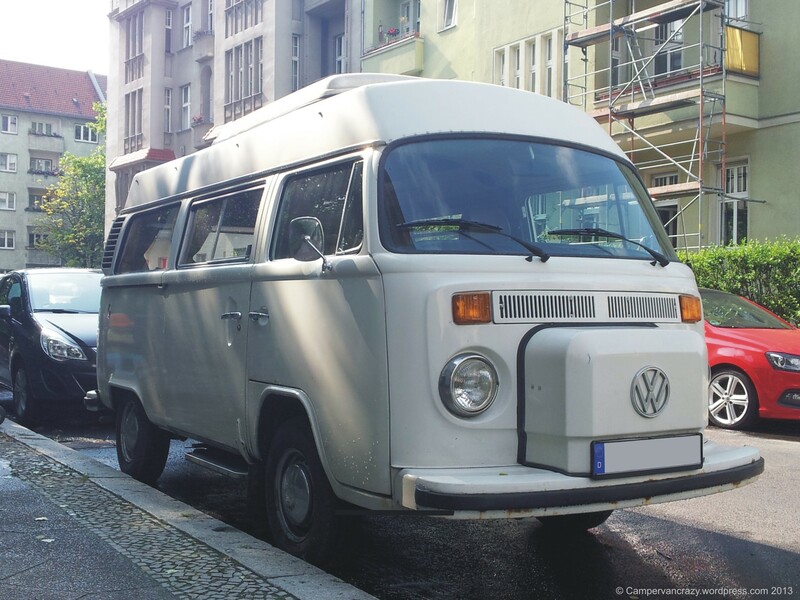 Another Berlin kombi, photos taken in July when this van parked around the corner for a couple of weeks. Front wheel box and cushion covers (green-orange-yellow plaid) look very much like a Westfalia campervan conversion, but the roof is unusual. 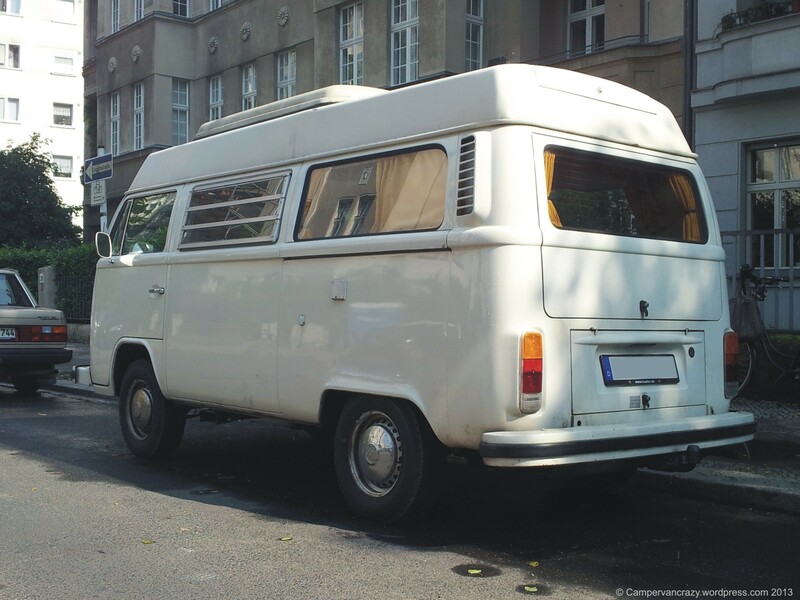 Not sure whether Westfalia actually installed permanent high roofs on late bays. And on top of the high roof is another pop-up roof. I can see that having head room and extra storage room permanently is useful, seeing how small these campers are. 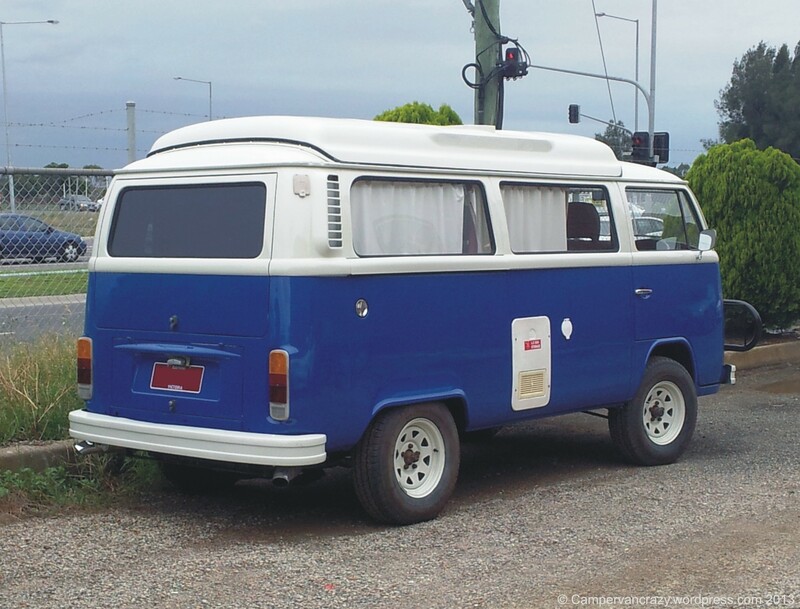 Another late bay spotted a year ago in Geelong, Australia. Looks like it just got a brand new paint job. 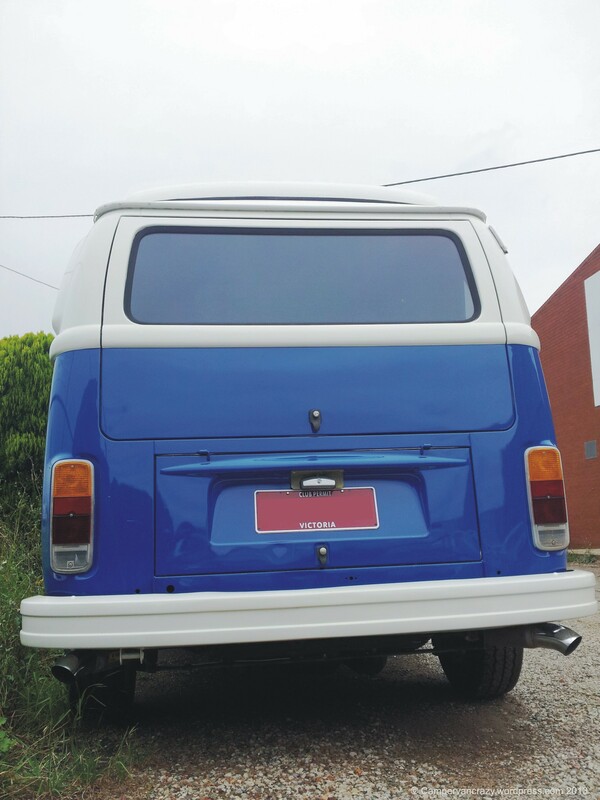 Could be reef blue (L57H). 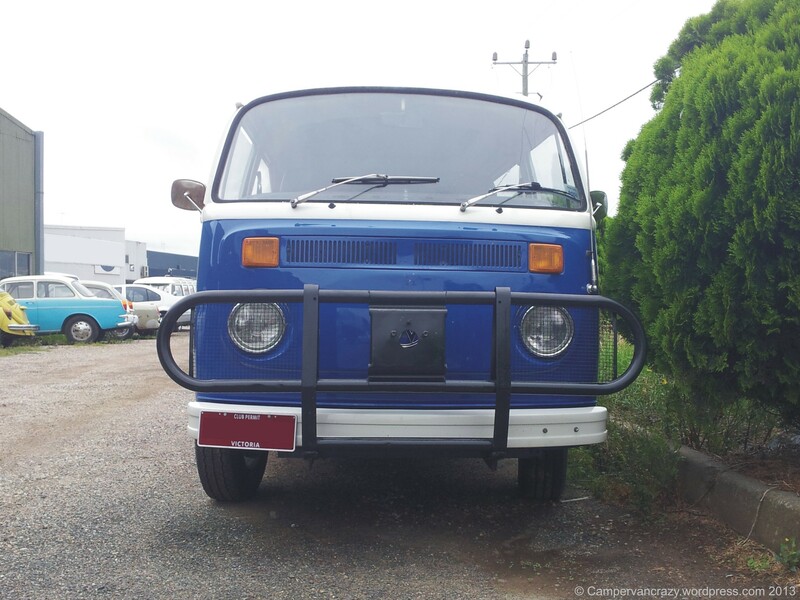 Comes with one of the heavier versions of the various roo bars, with attachment points for the spare wheel in its center. 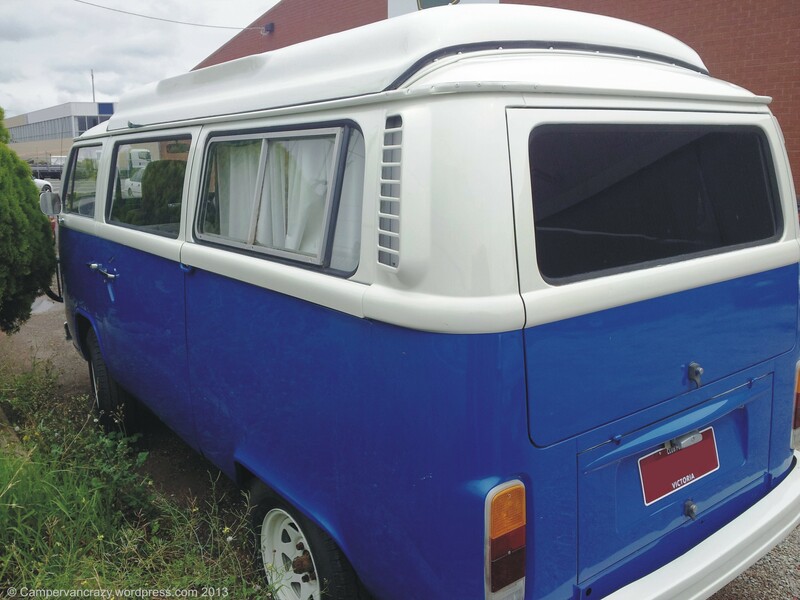 The pop-up roof is none of the European standards (Westfalia, Devon, Dormobile) but a conversion one sees often over there. Electricity inlet in the right rear corner at head height, again something common only down there. 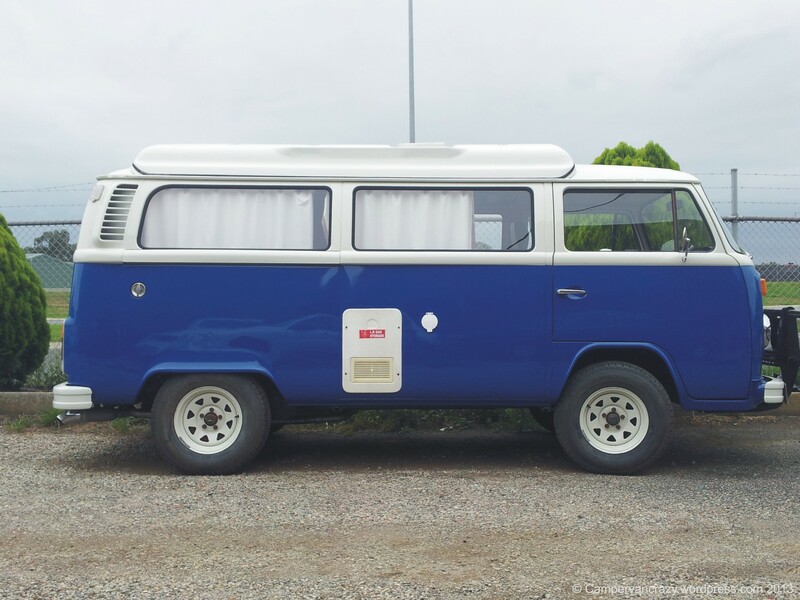 Stands on non-Volkswagen steel wheels. 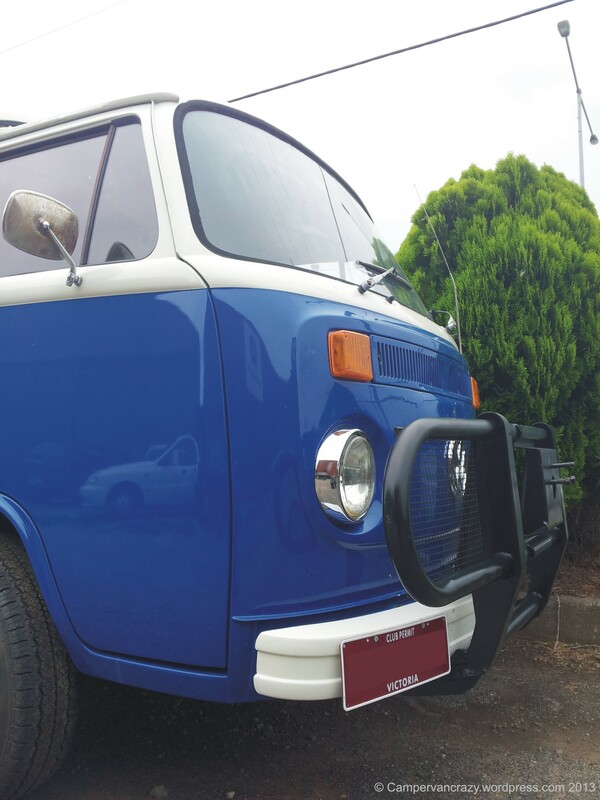 Tyres also look slightly larger than the standard bus tyres. Sport exhaust with two outlets, so someone has worked on the details already. Comes with Victoria Club permit on the registration. Apparently this means the car is at least 25 years old (classic or historic), the owner is member of a club, and the car is driven for only 90 days per year, with an obligatory logbook over those days. I hope in exchange one can drive the car without further taxes. Still quite some effort. 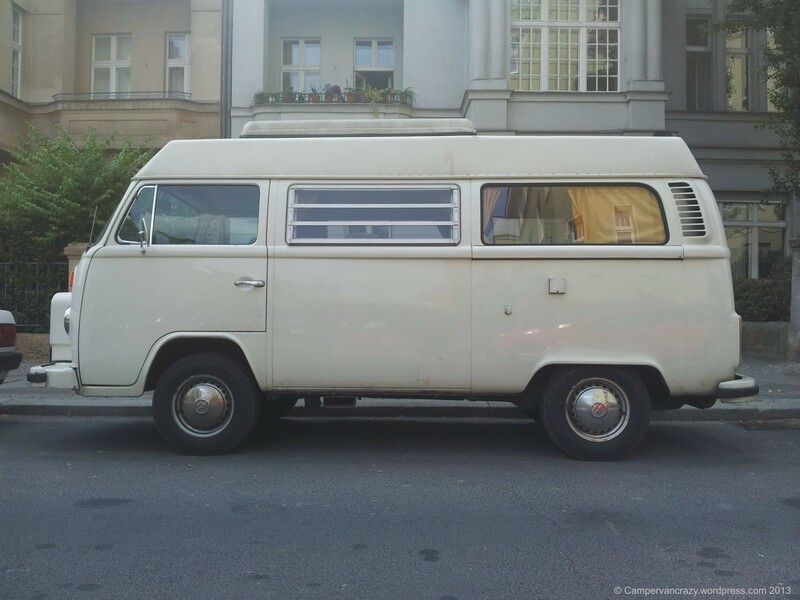 Sliding window in the rear left section – need something like that for our bus for next summer. What a nice bus! 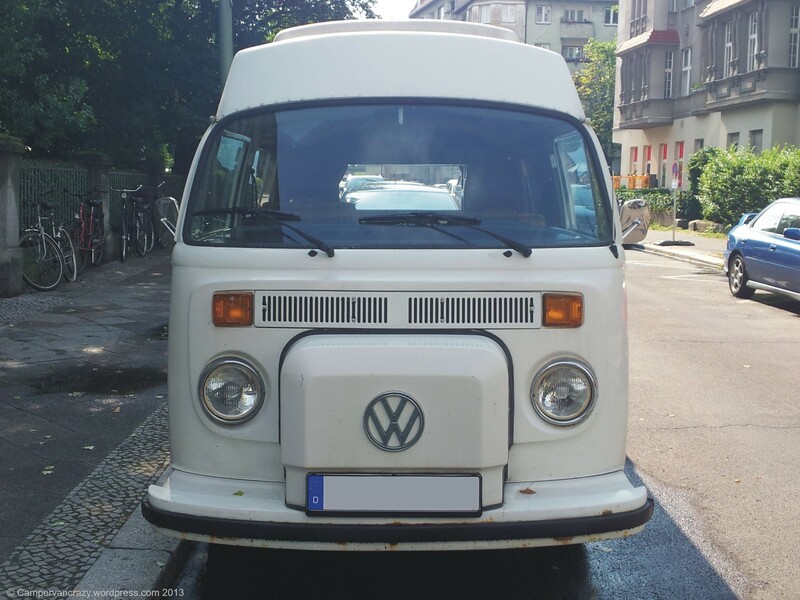 The summer has arrived in Berlin and it seems everyone is getting their split-windows out and into the sun – two cool buses seen last week at the Beetle Clinic. 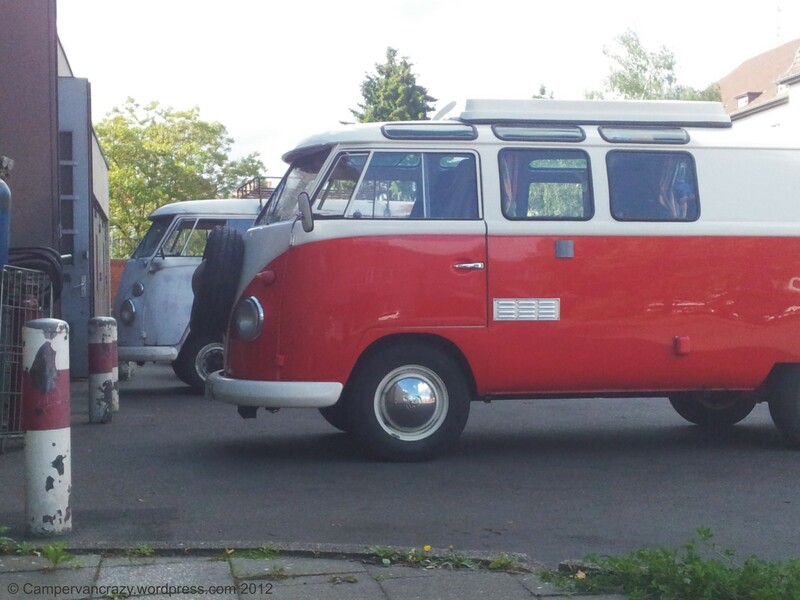 The red and white one used to be a fire brigade van. 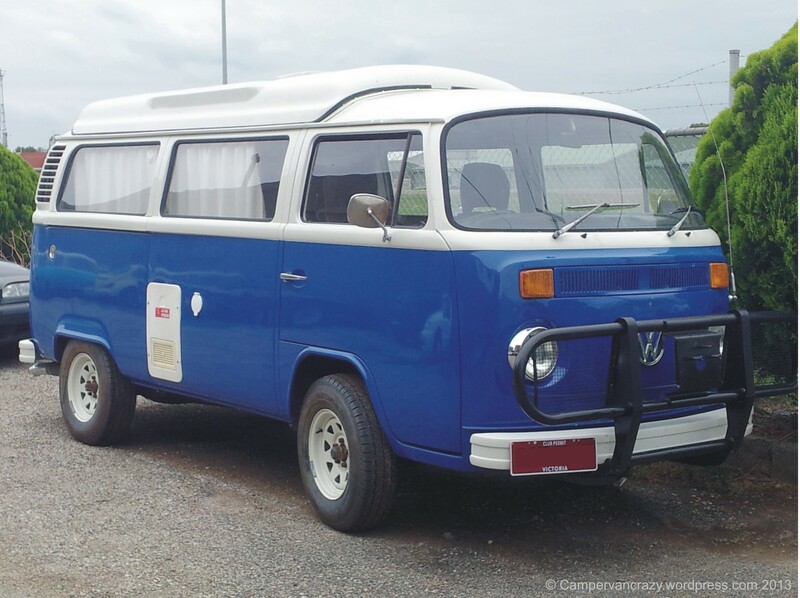 The Samba-like roof windows and the pop-up roof were added later when it was converted to a campervan. Bullet indicators, but not yet the T2 back lid, so should be from between 1960 and 1963. The one in the background was also pretty cool. 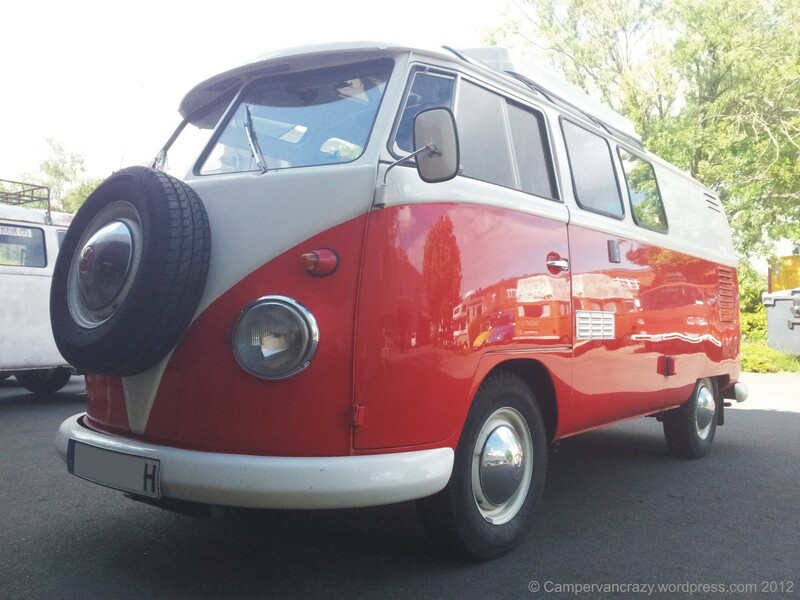 A T1 microbus with a bit of a rat look going on. No time for more photos as the baby got decidedly unhappy with my lack of attention.